Lichen planus (LP) is a benign non-infectious skin condition which causes an itchy rash to appear on the skin or inside the mouth. The cause is not well understood yet, but it may relate to allergy or to immune reaction. It is present in 2% of people all over the world. Certain medicines such as gold, arsenic, iodides, and chloroquine, some dyes and other chemicals have all been associated with a higher incidence of lichenoid reactions, which are sometimes thought to be a separate entity from lichen planus. LP is mostly found to affect adults in their middle age, and is infrequently found in children. LP produces oral or skin symptoms in a ratio of 1:1. 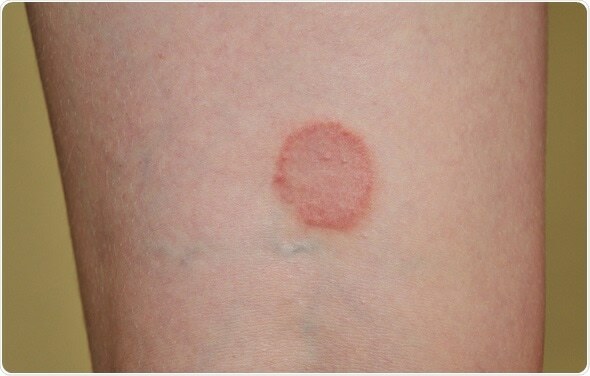 Oral lesions such as ulcers appear in a linear lacy arrangement. They may be bluish-white in color, and are either painless or cause tenderness. These are thought to be autoimmune in origin, and are T-cell mediated, i.e. the cytotoxic CD8+ T cells bring about basal cell apoptosis within the oral epithelium. Skin sores usually appear on the inside of the wrists, the legs, the trunk and the genital mucosa. Dark in color, they are itchy and well-demarcated from the surrounding normal skin. They may be shiny or scaly. Other symptoms of LP include dryness of the mouth, ridging of the nails, and alopecia. Oral LP is accompanied by genital mucosal lesions in a fourth of patients. 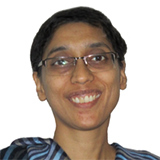 Such coexistence of oral and genital changes is known as vulvovaginal-gingival syndrome in women and peno-gingival syndrome in men, and it harbors certain treatment challenges. Erosive LP is a complication which causes the emergence of painful ulcers on the skin of the genital area and the mucosa of the mouth. Furthermore, the skin affected by LP may be hyperpigmented even after the lesion regresses. Diagnosis is made on the basis of the characteristic oral and cutaneous lesions. Biopsy of a lesion is confirmatory. Blood testing may be required to rule out hepatitis C which can act as a precipitating factor for LP. Treatment is by medications to reduce pruritus, such as antihistamine pills, or corticosteroids that are used topically or injected locally in the case of hypertrophic lesions. Medicated antipruritic dressings are also used. If it is caused by a medication, the offending drug should be stopped at once. Tobacco and alcohol are to be avoided. Oral hygiene is to be insisted upon at all costs, and if local trauma is present, the cause (such as an ill-fitting denture) should be investigated and corrected. Potent corticosteroids such as clobetasol are first-line treatment for all forms of LP, and may be used topically, intralesionally or orally. On the other hand, calcineurine inhibitors such as tacrolimus are the second line of treatment. Certain retinoids or oral immunosuppressants are to be considered only for severe and extensive LP. Carbon dioxide laser has been used to vaporize lesions in painful oral LP, and is both safe and effective. LP of the skin usually subsides spontaneously within a couple of years (especially the reticular form). However, recurrences are common, most notably in patients with erosive type of the disease. Oral and genital LP may take longer to regress.